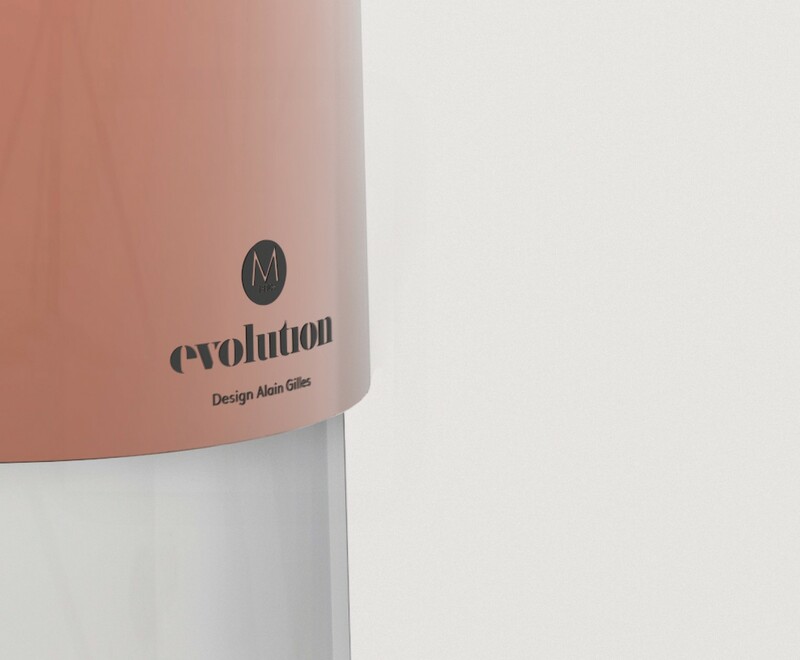 Through sensual and graphic shapes, “Evolution” proposes products with innovative functionalities that follow the evolution in our rhythm and way of life and that have been designed to last in time. 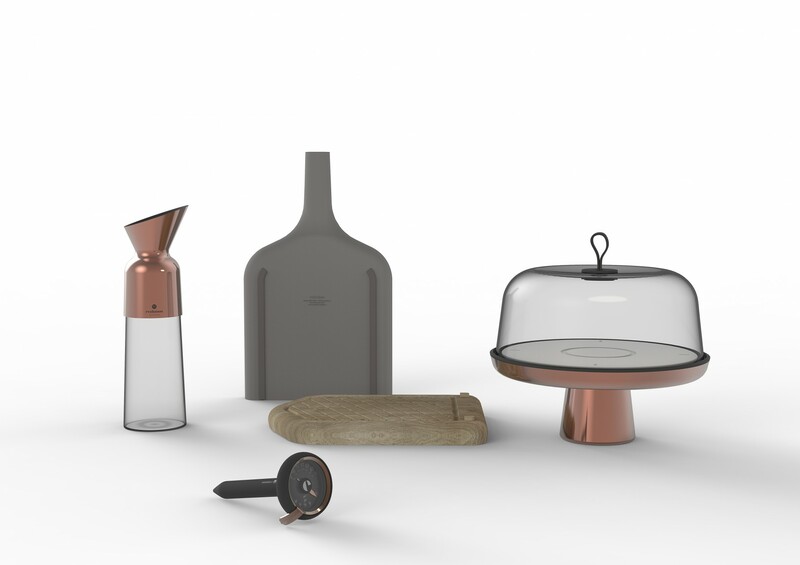 Three products of the range have been edited by Evolution in a copper-finish in collaboration with historic French brand Mauviel 1830 thus re-imagining the values of this great French house. The graphic identity and branding have been done by Coast. 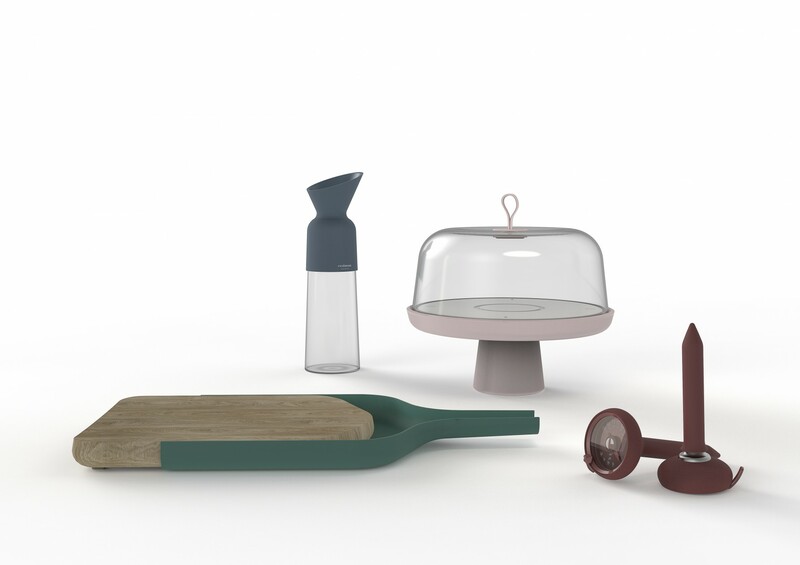 This is ordinary, everyday items, whose features have been enhanced thanks to the application of a second skin in a very graphic manner. 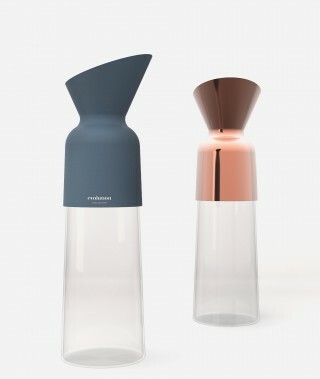 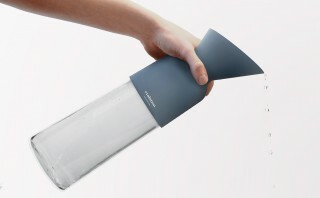 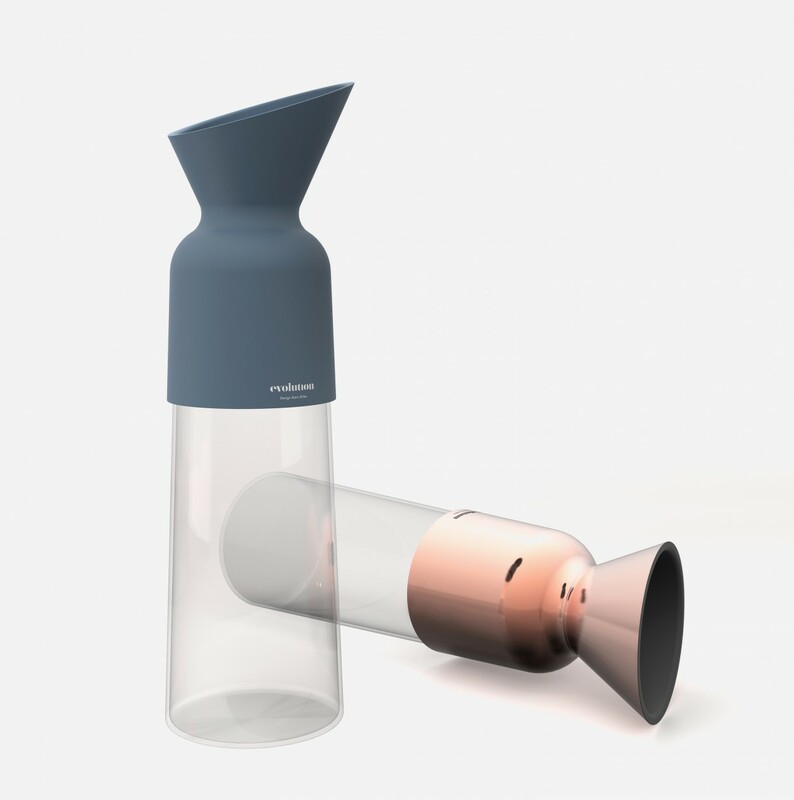 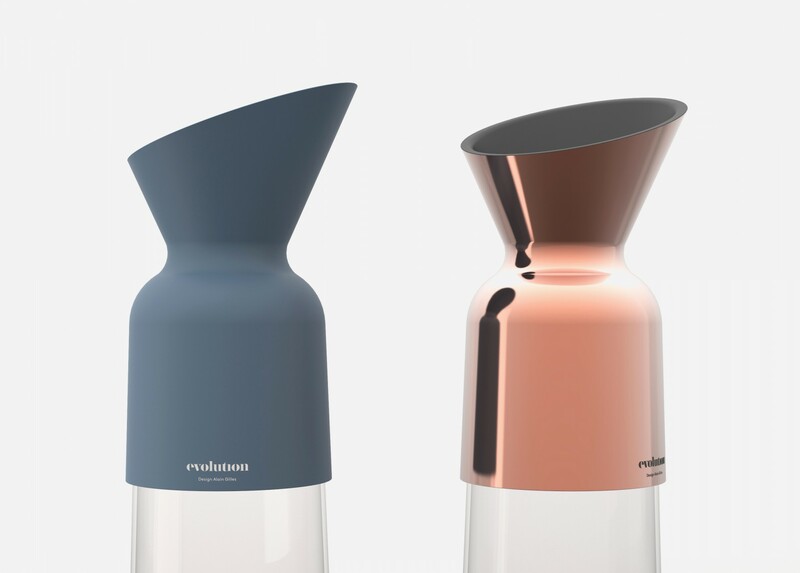 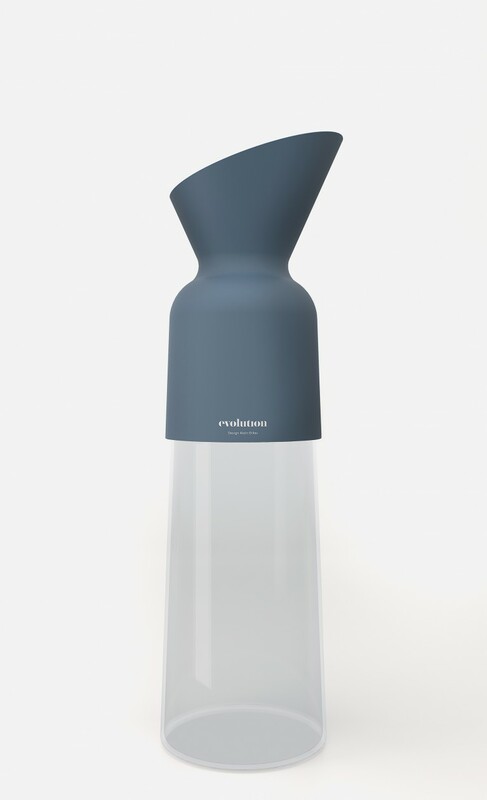 The beauty of the carafe is that the neck, which is emphasised, becomes the handle. Here we have a fine balance between modernised conventional designs and a funnel-shaped neck for ease of handling. This is a dialogue between materials and different periods. 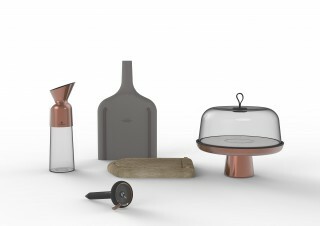 Materials Glass, ABS-soft touch finish / ABS-copper finish. 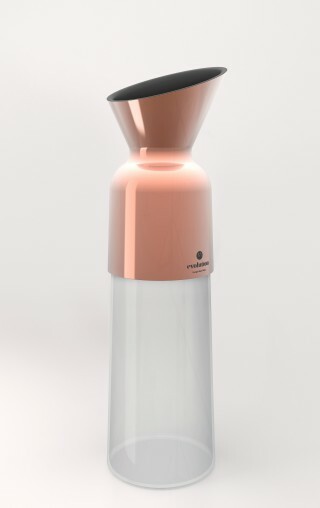 Dimensions 10x9.5x34 cm / 3.9"x3.7"x13.4"
copper-finish version "Evolution for Mauviel 1830"